Dakota Layers follows strict animal care and food safety guidelines, gives back to our communities and is a sustainability leader. These graphics via American Egg Board detail just how much our environmental footprint has reduced overtime. 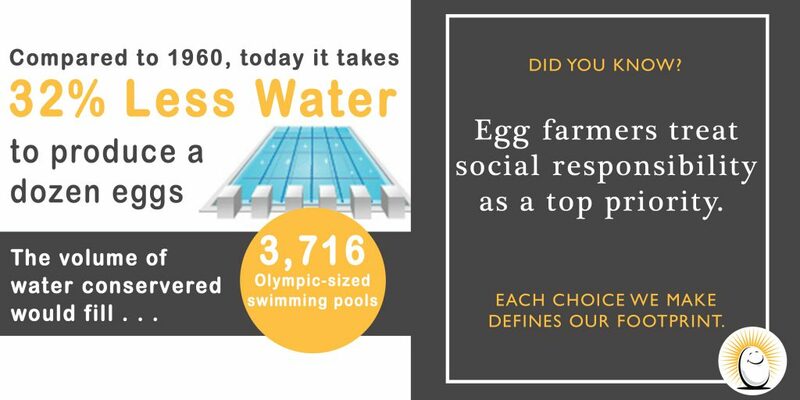 Dakota Layers is proud to put social responsibility as a top priority and will continue to find ways to enhance the well-being of our hens, the production and quality of our eggs and how we give back to our communities and care for the environment.